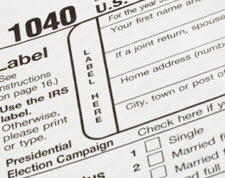 Tax-filing season has begun as companies begin sending and receiving forms as required by the IRS. PayPal sent sellers an email letting them know their Form 1099Ks are available for download, and it may also arrive by post in the coming weeks along with those from other payment processors and from marketplaces such as Etsy and Amazon (and eBay once it begins processing payments on your behalf). You can read more on this page of the IRS website. PayPal explains how to download Form 1099K in the email notice it sent, but we're not sure if you'll also receive it by snail-mail in all cases. The company stated in its email, "You will also receive this form in the postal mail soon, if you have not consented for e-delivery of a Form 1099K." Here's some helpful information about Form 1099K on the PayPal website. The PayPal notice serves as a reminder that you can probably download the forms you need for tax reconciliation and filing from other websites with which you do business. And one more caveat: if you receive emails about tax forms, don't click on links in the email to LOG-IN. Instead, use the bookmarks you saved in your browser. The only thing worse than doing your taxes is becoming a victim of fraud! Excellent article with great information. And a great reminder for those that need the 1099. Thanks. is a 10099-K generated on $20,000 & 200 sales? The 1099 is only a tool. The thresholds only represent minimums defined by and related to third party documentation and reporting choices. As much as any other threshold laws apply at least. The fact remains, ALL income must be reported - 1099 or no 1099, unless it is below thresholds defned by the IRS, not Pay Pal, or any other third party. Then, any tax liability is defined by how one accounts for that income, minus any deductions.